Home / Schwalbe Marathon Tyre 27" x 1.1/4"
Schwalbe Marathon Tyre 27" x 1.1/4"
Schwalbe Marathon Tyre 27" x 1.1/4". The benchmark high quality, puncture proof commuting & touring tyre. 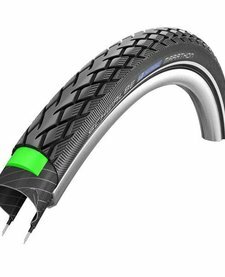 Anti-Aging sidewall to help prolong the tyre sidewall life, even if under inflated. 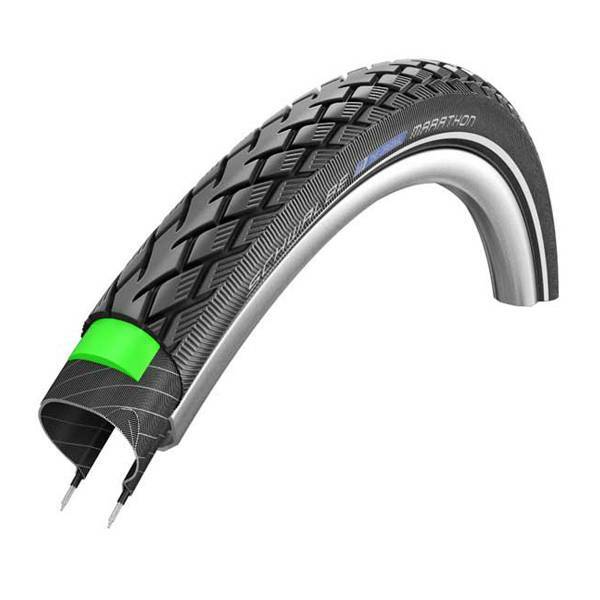 Schwalbe Marathon 26" Tyre. The benchmark high quality, puncture resistant commuting & touring tyre. Available in 26x1.25", 26x1.50", 26x1.75", 26x2.0". Schwalbe Marathon Plus Tyre 26" x 1.75"
Schwalbe Marathon Plus Tyre 26". The ultimate commuting and touring tyre. The most puncture resistant pneumatic tyre there is. Schwalbe Marathon Tyre 16" x 1.35"
Schwalbe Marathon Tyre 16" x 1.35". The benchmark high quality, puncture proof commuting & touring tyre. 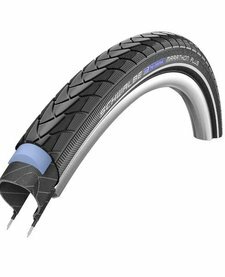 Schwalbe Marathon 700c Tyre. The benchmark high quality, puncture resistant commuting & touring tyre. Available in 700x28c, 700x32c, 700x35c, 700x38c. 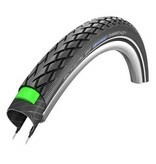 Schwalbe Marathon 20" Tyre. The benchmark high quality, puncture resistant commuting & touring tyre. Available in 20" x 1.50" and 20" x 1.75"